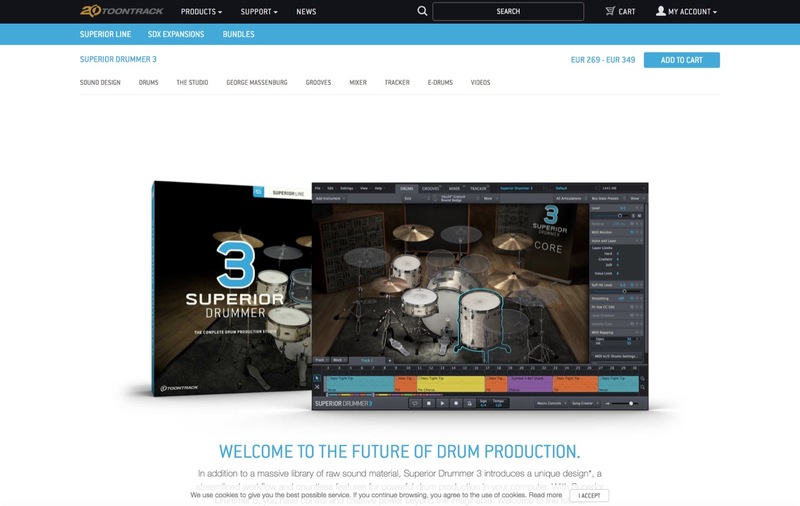 Now that Superior Drummer 3 is released, the legacy version is discontinued and removed from the Toontrack Superior Line. It will however still work and be supported throughout the transition. 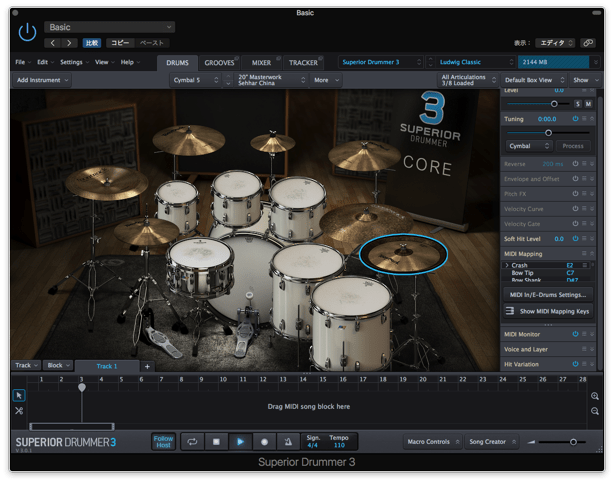 Content from the S2.0 Producer Presets Line can be opened in Superior Drummer 3 but is discontinued and no longer supported. 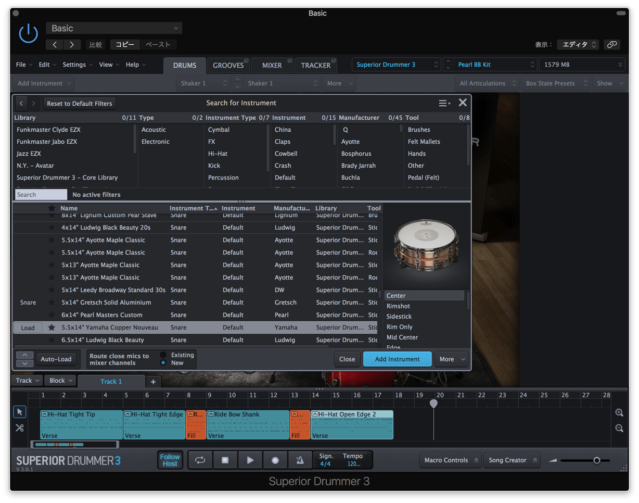 Superior Drummer 3.0.2 is now available to download using the Product Manager or from the ‘My Products’ area in your Toontrack account. 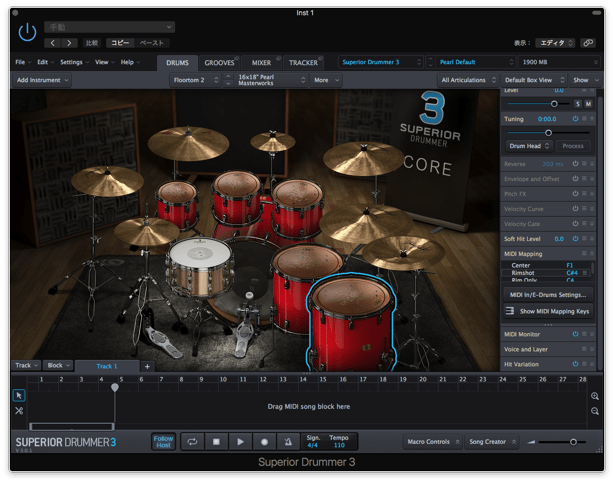 Please note that version 3.0.2 is required for the support of Superior Drummer 3 products released from this point forward (Q4 2017). – MIDI files can now be dragged to the result area in Grooves, provided that a single path is selected within the User MIDI folder. – More tooltips have been added in the grid editor. 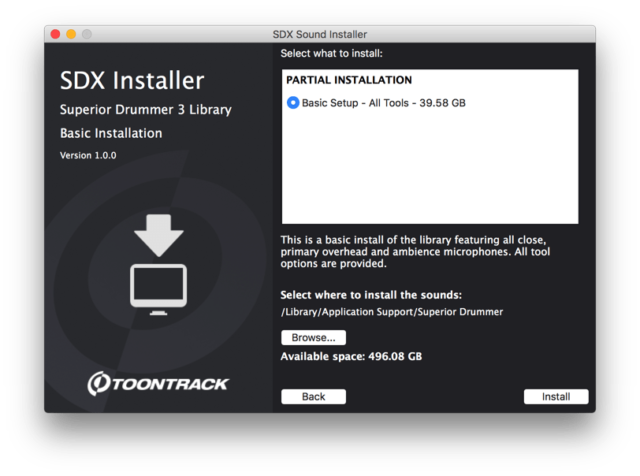 – Selecting certain sounds from certain libraries (in Search for Instrument, for example) could cause a crash. 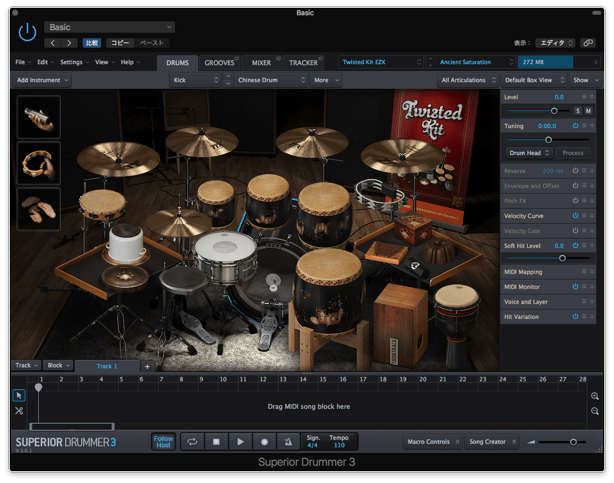 – The Tap2Find player could crash when you changed presets that remapped the drums. – It is no longer possible to MIDI learn the pitch wheel. – Loading or saving Velocity Curve presets on a stack could cause a crash. – Choosing “Select Parts” in the library preset menu could end up selecting the wrong preset. – If ‘undo’ changed number of instruments and Edit Play Style was open, it could crash. – A crash and a bug in text search has been fixed. – A bug with copying notes in the grid editor has been fixed. 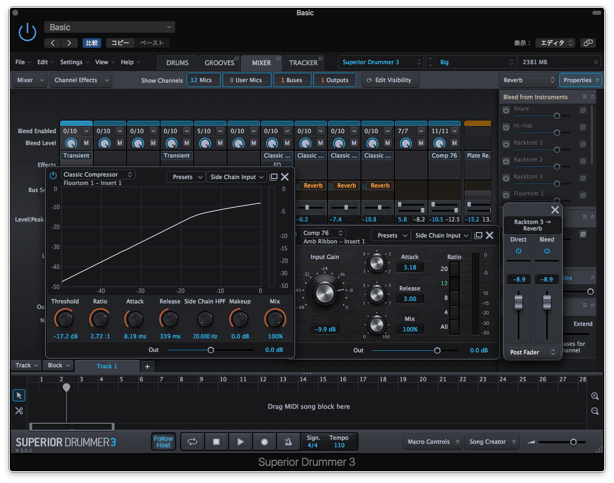 – Changing presets while having Song Creator open with a source loop could cause a graphical glitch. – Right click in the time signature editor no longer deselects all other regions. – A change of sample rate on the sound card should now get correctly handled by the standalone. – The favorite setting (star on/off) in Grooves was not loaded properly from projects. – Browser settings in Search for Instrument (visible columns, etc.) were not saved in projects. – Bounce would never use processed pitch. – Undoing stack manipulation with inactive stacks could cause a crash. – Adding new mics or opening Search for Instrument while sounds were being loaded could cause a crash. – It was not possible to add a groove from the song track to User MIDI if it was an altered version of something already found in the browser. – The graphics of Electronic and Southern Soul EZXs have been adjusted. – Dragging a custom song block (with no file path) to Song Creator made the “Source File” unplayable and undraggable and it also incorrectly had “Show in Browser” enabled. – The playhead position in the scrollbar was not updated while playing. – Buffer and sample rate changes were not handled correctly. – Files with the extension “.midi” can now be imported as tempo maps. – The tempo map is now cleared when New Project is selected. 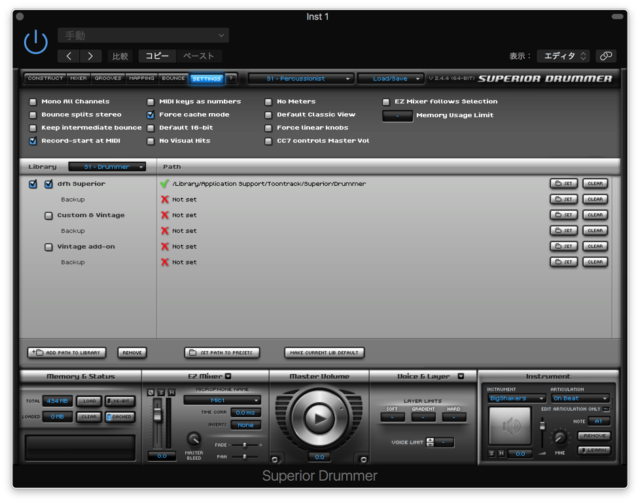 – The sample position did not get synced when a track was added while playing. 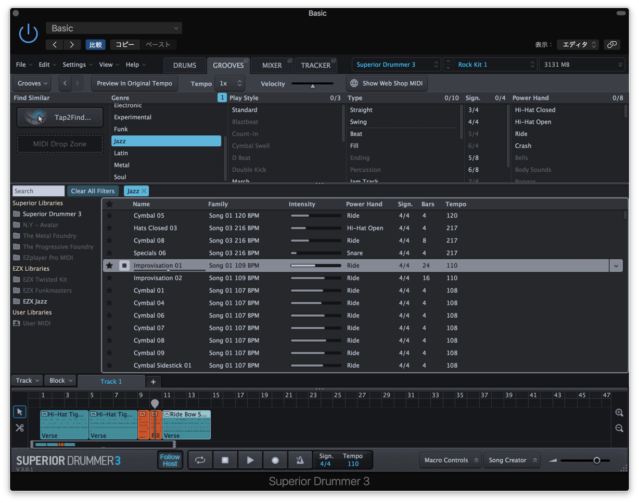 – Find Tempo did not always work with multiple time signature changes. – Some precision could be lost on found hits when loading a project. – When looping, the triggered MIDI and the original sound could become unsynced. – Selecting New Project while having the Tracker tab open could cause a crash.